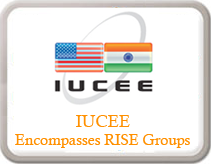 The Department of CSE is the place where intelligence, innovation and insight are synchronized together. The department provides an environment that nurtures a creative culture and ensures ample simulations for the creative minds. The students with all the support from the department and the existing staff are able to perform excellently well in the university examinations. The encouragement given by the department has made the students sharpen their skills in the software and the hardware as well. The department of ECE has been established with the state-of-the-art laboratories namely Analog Communication laboratory, Integrated Circuits & Applications laboratory, Electronic Circuit Analysis laboratory and Microprocessor & Micro controller laboratory, which are fully equipped with the test & measuring equipment for lab work. The Department of Civil Engineering has been established keeping in view, the broad objectives of Technical education in the field of infrastructure development and specific needs of Civil Engineers in particular. The Department has qualified and experienced faculty and adequate and well furnished laboratories to cater to the needs of the students as per the university norms and curriculum. The MBA is a postgraduate degree in business administration. The MBA program is recognized worldwide and is considered as a major step towards a successful business management career. The MBA degree is one of the most sought after degrees in the world because of its value in business and administration. Irrespective of the industry or profession and regardless of the condition of the economy the MBA degree adds great feathers to the caps of Management Professionals. Department of Humanities & Basic Science. Basic Sciences & Humanities Department is a supporting department to all Engineering Branches of Diploma, B.Tech, MBA and MCA Departments. In addition to Basic Sciences like Mathematics, Physics and Chemistry, here the students are exposed to English and Environmental Science. There is a symbiotic relation between Mathematics, Physics, Chemistry and Engineering. Broadly speaking, Engineering is mainly a domain of application of Mathematics, Physics and Chemistry. A proper knowledge of Mathematics, Physics and Chemistry is, therefore, indispensable for an engineer to excel in one's chosen field.